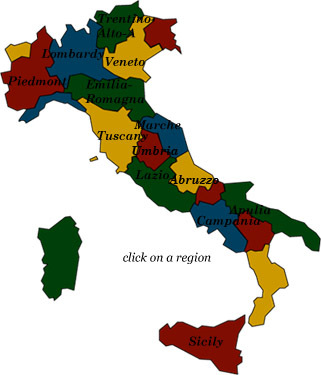 Jump to a list of all Italian castle hotels here or click on a region. Haven’t decided on a hotel yet? You can look at other available hotels in Italy with Booking.com. Italy has an astonishing number of castle and palace hotels that have opened in the last ten years. In the 1980s when I worked on my first guidebook, it was quite a stretch to find authentic castle and palace hotels to include. Happily, castle hotels now abound, and proprietors are making a financial success of converting the ancient family home into a special destination for visitors. You’ll find most castles in the Piedmont and Trentino-Alto Adige regions in the north, but Tuscany has impressive numbers, too. In the south, masserias, or fortified farmhouses, are now delightful hotels. Before unification in the 19th century, Italy was composed of a myriad of city-states—tiny countries, each with its own ruling family who were usually at odds with another aristocratic family in the next city. Castles were built to demonstrate to outsiders that the sovereign living behind the walls was a power to be reckoned with. The word “palace” comes from the Latin palatium, meaning the hill on which the Roman emperors built their residences. From the time of the Renaissance (when the expansion of commerce gave people more money to lavish on private residences), every nobleman in Italy built his own private palazzo, and the idea spread throughout Europe. Architects traveled to Italy to learn their craft and returned to their own countries with new ideas. Abruzzo Wild and unpopulated, in Abruzzo you will find three national parks, hilltop villages, and castle ruins. Campania and Apulia It was on the coast of Campania where Ulysses, in the Odyssey, barely escaped the charms of the sirens, and this breathtaking region still captivates today. In Apulia, castles, churches, and casbahs are the architectural legacies of centuries of invasions, while the strange conical trullis are on the UNESCO World Heritage Site list. Emilia-Romagna Aside from a rich heritage of palaces and churches, opera fans can make a pilgrimage to the birthplace of Verdi and Pavarotti, while luxury sports car aficionados can pay homage to where Lamborghinis and Ferraris were born. And above all, this region invites you to come eat. Emilia-Romagna is the home of prosciutto, Parmesan cheese, tortellini, and Modena balsamic vinegar. Lazio The cradle of Roman civilization, Rome is one of the world’s greatest cities, and writers and painters have described the volcanic hills and lakes of its countryside for centuries. Lombardy and Piedmont Lombardy may be Italy’s center of industry, but its Lake District is one of the most gorgeous spots on earth. At the foot of the Alps and dotted with castles, Piedmont is the Italy of royalty, its style that of the former House of Savoy. Marche A former frontier province of the Frankish Empire, its hills are filled with unspoiled villages and nature reserves. Sicily All of Sicily is like a great archaeological museum with its splendid Greek temples, Roman aqueducts, and Norman castles waiting for you to explore. Trentino-Alto Adige and Veneto A unique blend of Germanic and Italian traditions sets the Trentino-Alto Adige region apart. Over 100 castles accent the valleys and cliffsides of the Dolomite mountains. Although once dominated by the great city of Venice, the Veneto features sumptuous villas and grand Renaissance cities. Tuscany Magnificent Renaissance cities, fortified hilltop villages, rolling countryside covered in vineyards and olive trees with a lone villa in the distance are the images that make us work for that next vacation! Umbria With a superb landscape of snowcapped mountains and vast stretches of olive trees and vineyards, Umbria’s greatest charm lies with its medieval towns, hilltop fortresses, grand Romanesque churches, and monasteries filled with art treasures.